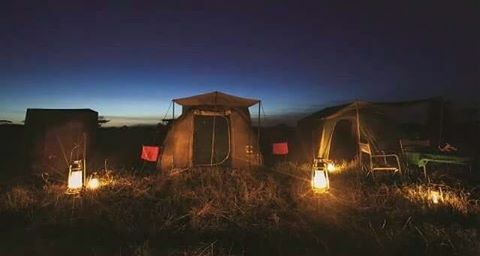 Sunny Safaris semi-luxury ‎camping‬ tent is a dome-shaped walk-in canvas tent. There are separate private facilities (with toilet and bucket showers). The tents are furnished with comfortable camp beds with mattress, sleeping bag and pillow. Enjoy private use of the wilderness campsite in the conservancy areas.